Though no true professional teams exist in the America, clubs in Canada and the USA are continually working to further develop an infrastructure that supports elite-level/professional rugby. USA Super League (founded in 1996 with 14 teams, peaked to 18 teams in 2007, now at 8 teams in 2013). Though it was initiallycons considered a maverick organization actively opposed by USA Rugby, it was eventually brought under USA Rubgy's governance. Since then, playing in the RSL has become logistically and financially more difficult for clubs. At present, the RSL is being restructured into a Super League Cup similar to the Heineken Cup held in Europe (see below). Regardless of the structure, the season is likely to be March to July. We’ll have to wait and see what develops. (NZ), and South Africa (SA). The competitive season runs March to late-June/July. The Heineken Cup (known as the H Cup in France due to restrictions on alcohol sponsorship) is the pinnacle of professional rugby in Europe. It is one of two annual rugby union competitions organized by the European Rugby Cup. 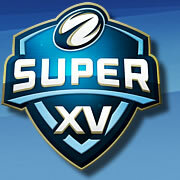 The Cup is open to professional clubs in the RaboDirect Pro12, Aviva Premiership and the Top 14. The tournament (or season) is held from October to May, with various stages scheduled around domestic club competitions. Each European country uses a different qualifying system to select which professional club will participate. In total, 24 teams create the initial six pools of four . 22 places are awarded by country, with each country deciding how to allocate their alloted places. According to past performances, the number of clubs from each country changes. 24-team tournament for the following season are filled by the prior winners of the Heineken Cup and European Challenge Cup. The European Challenge Cup, currently known for sponsorship reasons as the Amlin Challenge Cup, is the second tier of professional rugby clubs and other annual rugby union competition organized by the European Rugby Cup. The European Challenge Cup is the equivalent competition of the UEFA Europa League in football (soccer), whereas the Heineken Cup is the equivalent to the higher level UEFA Champions League. Teams play on a pool, then knock-out, basis. Teams in the ECC are from England, France, Wales, Ireland, Italy, and Romania that did qualify for the Heineken Cup. On some occasions, Spain and Portugal enter teams. The season runs from September to May, with a four-club playoff to determine the championship. Tops six teams play in the all-European Heineken Cup. The other play in the Amlin Challenge Cup. The Pro12(known as the RaboDirect Pro12 for sponsorship reasons) is an annual rugby union competition involving professional sides from Ireland, Italy, Scotland and Wales. The league is one of the three major professional leagues in Europe, along with the English Aviva Premiership and the French Top 14. The "Pro12" was adopted to reflect that it now includes teams from outside the Celtic nations. The Top 14(French pronunciation: ​[top katORz]) is a rugby union club competition that is played in France. The Top 14 is at the top of the national league system operated by the French National Rugby League, also known by its French initials of LNR. The domestic season runs from August through to June. Every club contests 26 games during the regular season – over 26 rounds of competition. The first ever championship final took place in 1892, between two Paris-based sides, Stade Français and Racing Club, with the latter becoming the augural champions. The competition has been held on an annual basis since, except from 1915 to 1919—because of World War I—and from 1940 to 1942—because of World War II. The Top 14 also serves as the qualification route for French clubs into the two European Rugby competitions: the Heineken Cup and the European Challenge Cup. A minimum of six French clubs qualify for top level of competition, the Heineken Cup. All Top 14 clubs that do not qualify for the Heineken Cup automatically qualify for the Challenge Cup. This means that all Top 14 clubs will participate in European competition during a given season. The French clubs have had huge success in the European competitions. The inaugural Heineken Cup, held in the 1995–96 season, was won by Toulouse, which would eventually claim three more championships (2003, 2005 and 2010). It would also not be until the fifth championship game until there was no French team in the final. In addition, there have also been three occasions where the final was an all-French encounter, all won by Toulouse (against Perpignan in 2003, Stade Français in 2005, and Biarritz in 2010).